How a horse adjusts to blindness has everything to do with the animal’s personality and not the disability itself. 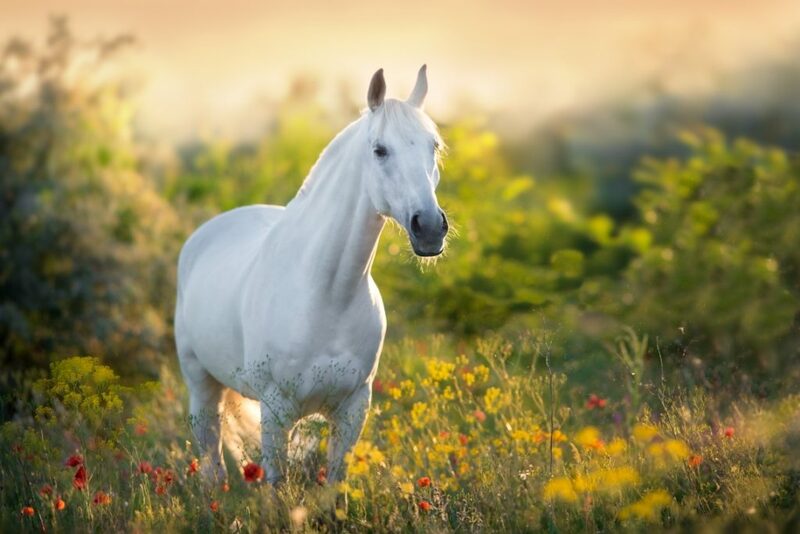 A calm, easy-going horse typically will adapt just fine to blindness. A high-strung, spooky horse usually will have a much harder time adjusting, and may never cope with blindness well. So the horse’s underlying personality ultimately will dictate how well it responds to blindness. I say "ultimately" because there are other factors that help determine whether it successfully adapts: time and environment. Time is a crucial element in the adjustment process. If a horse loses vision quickly, it will often become frightened and panicky at the sudden darkness. A horse who is losing vision gradually has a much better chance to cope with the change. The horse with a sudden or rapid onset of blindness needs time to adapt, but too often horse owners and their veterinarians assume the frightened animal they see in front of them will always be like this, and thus conclude that the only humane thing to do is euthanize the horse. But a few days or a couple of weeks can make all the difference for the animal’s ability to adjust. Environment plays an important role, too. In general, blind horses do not do well in herds — they get beaten up, chased off, and pushed around. That’s usually how blind horses get hurt. The best situation for a blind horse is typically to be pastured with one other gentle, compatible buddy — another horse, a pony or a goat. Of course, it’s imperative that a blind horse’s pastures and paddocks/corrals have safe fencing. The ideal is woven-wire or mesh-wire fencing like Red Brand’s diamond-weave KeepSafe Horse Fence or their mesh Non-Climb Horse Fence. Barbed wire is clearly the wrong kind of fencing to use. One of the many myths about blind horses is that they can "sense" electric fencing and thus this type of containment system should be okay for them. We have never seen a case of a blind horse being able to "sense" electric fencing. If they blunder into an electric fence and get shocked, they may panic because they don’t know what just "got" them … and because blind horses tend to circle when scared or anxious, they often spin around and go right back into the electric fence again. For a safe environment, it’s also important to make sure that trees or poles in the pasture are fenced off or ringed with materials such as sand-filled tires, etc., and that the pasture is free of holes, debris and sharp objects. A blind horse bonds incredibly closely to his or her pasture buddy. The relationships they develop take the "herd instinct" to an entirely new level. So you can expect them to become anxious and upset when separated from their buddies. Plan accordingly if you have to take one to the vet or move one away for whatever reason. However, we have also found that blind horses will bond very quickly to a new buddy. If we have euthanized a blind horse for age or medical reasons, we’ve found that the surviving horse in the pair will bond to a new horse typically within 48 hours — and often sooner. Horses who are born blind are much more self-confident and outgoing than horses who lose vision later in life. The horses who are born blind don’t know the world isn’t a dark place and don’t know that they are at any disadvantage compared to others. They assume we’re all navigating blindly, so to speak. Thus you can expect a blind foal to grow up to be a spunky, inquisitive, and energetic horse who has no idea of his or her limitations.